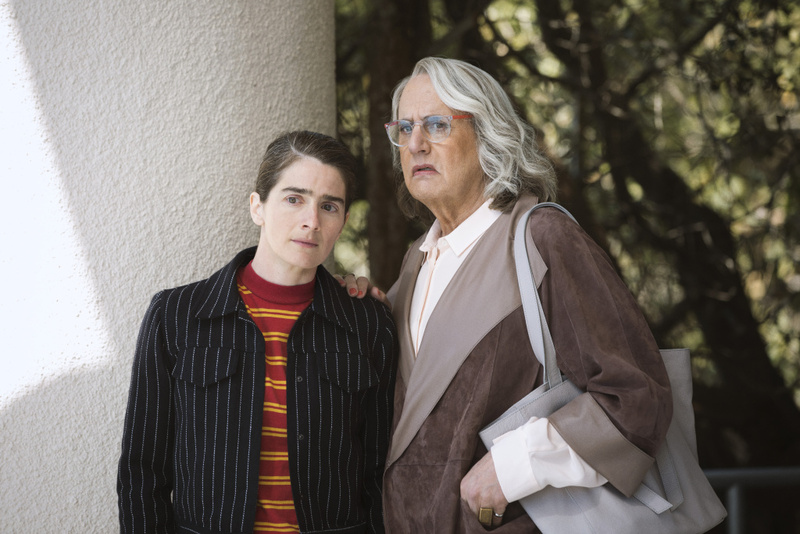 Gaby Hoffman (left) and Jeffrey Tambor (right) in season 4 of the Amazon television series "Transparent." In its original eight-year run, recently revamped television show “Will & Grace” won 16 Emmys, adding acclaim to popularity as the first hit sitcom with two gay male leads. Often referred to as the “Will & Grace effect”, the show played a large role in reducing homophobia in its audience. A 2006 study found that exposure to the gay characters in “Will & Grace” had the same effect as interpersonal contact in viewers who did not regularly interact with members of the gay community. And now that television is more diverse than ever, shows like “Transparent”, “Black-ish”, “Modern Family” and “The Middle” regularly introduce audiences to characters from different cultural, social, economic and racial/ethnic backgrounds. AirTalk wants to hear from you. Has a television show ever made you question or reevaluate a personal opinion? What TV shows introduced you to new perspectives while you were growing up? Which shows are pushing you out of your comfort zone now?